Throughout the dark, endless winters, one thought sustains you. In the pit of your despair, when the sun dips below the horizon shortly before 4 PM, a tiny candle flickers in the frozen darkness of your consciousness. Summer, it whispers. We all know summer is special in Berlin. But why? It could be the weather. The contrast between summer and winter is especially brutal here. But there are plenty places that are equally cold and dark, and these places have summertime too. No, it’s something more than that. Some people will tell you that the best thing about the Berlin summer is all the festivals and parties. And with 1. Mai, Karnival der Kulturen, Fashion Week, Berlin Festival, and many others, they at least have a lot of examples of what they’re talking about. These people will tell you that the weekend-long open air parties are the key to a good summer. There are indeed few things that feel better than dancing under the sun with glitter on your face. But sometimes, that sun is really hot, and somewhere along the way, you lost your sunscreen, along with your phone reception, friends, and after two days without showering, most of your dignity. Maybe the summer parties aren’t always all they’re cracked up to be. Others will tell you that Berlin’s strength lies in its geography—specifically, the dozens of lakes that surround the city. Going to the lake is a cherished part of summertime in Berlin, one that’s also had its knock-on effects in wider German culture. Everyone’s favorite nudist movement, FKK, evolved on the shores of Berlin’s many lakes. So did all these nasty mosquitos. Moving on. Let’s keep it simple. Some of the more German among us will attest to ice cream as being the cherry on top of Berlin’s midsummer sundae. But these people are ignoring a growing segment of Berlin’s population that forgoes the pleasures of milk and cream entirely. Maybe the key to summer in Berlin is grilling in the park. You only need to stroll down to Tempelhof on a given Sunday to see that the passion for coal and fire transcends all of Berlin’s cultural divisions. Bare meters from a tattooed group of old school Berlin punks drinking in the sun, a Turkish family unpacks what seems like their entire living room—shisha, carpets, and canopy sun covers included—onto the grass. Next to them, a young couple and their baby soak up the rays. Whether you’re cooking up some Nürnbergers, köfte and haloumi, or just some zucchini, everyone likes grilling. But we didn’t say like. We said best. All these people are wrong. 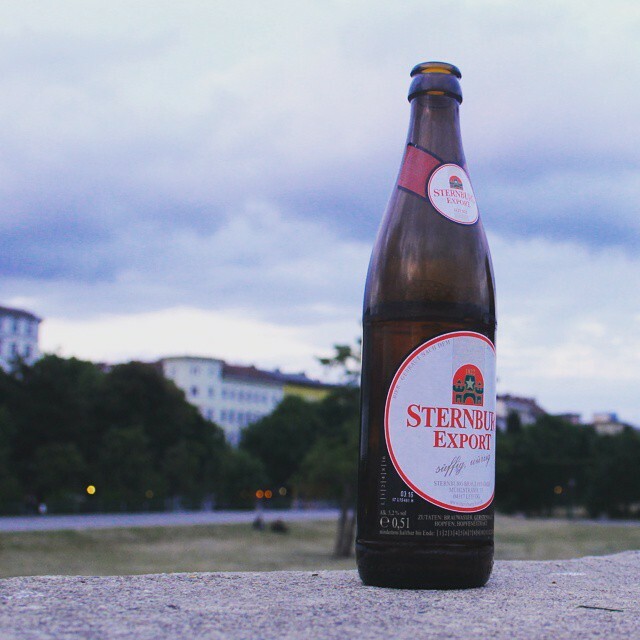 No, the best thing about Berlin in the summertime is drinking beers outside of a Späkauf. Späti drinking combines the all best things about summer in Berlin with all the best things about drinking. Outside the Spätkauf, in the endless summer light, sitting at a wooden table or just right there on the curb, things make sense. Whether you’re young, old, a tourist or native or something between, drinking Sterni or Augustiner, Pfeffi or Gorbatschow, things feel right. Only here, in the slanted estival light, do the many pieces of Berlin’s summer fall into place. The summer is bright and colorful. Enjoy it.